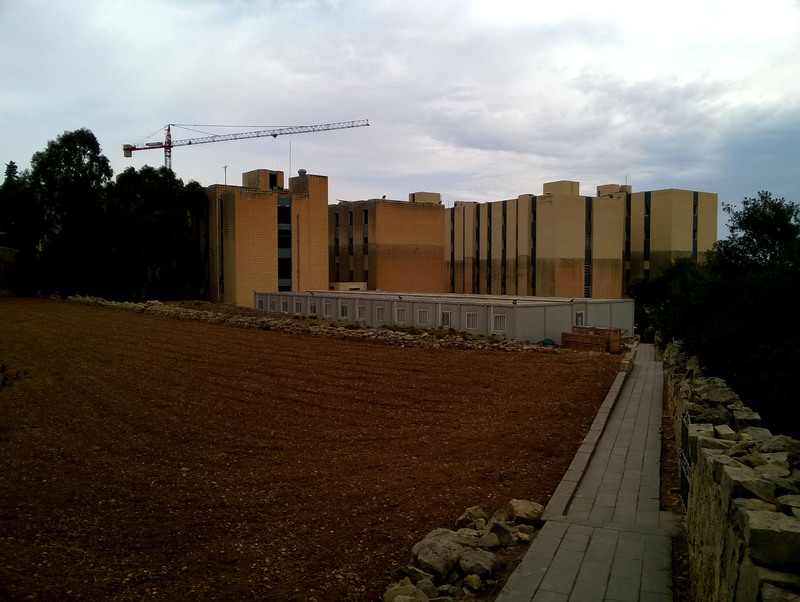 Have you noticed that the Maltese blogosphere has finally lost its unipolarity? 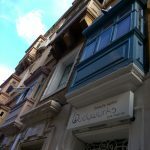 LovinMalta, the new media company everyone is talking about, has finally offered the local broad audience an alternative to Daphne Caruana Galizia’s Notebook which, until very recent, enjoyed its unique status of the only unofficial largely followed source of updates on Maltese life, entertainment and political revelations. Controversy surrounding DCG’s Notebook is as undeniable as its fame. On one hand, the Running Commentary challenges political establishment (Labour side, to be precise) and points out relevant corruption-related issues, while on the other, it is a pillar of Malta’s segregation, class-frustration and the constant “Nazzjonalisti vs Laburisti” rival. 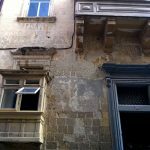 The infamous “pesants vs pedigree” concerns might be well-understood and supported by the Maltese older than 40, yet the accentuated cast symbolism is no longer meaningful to the younger bunch whose adolescence happened well after the 1990s. 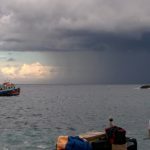 The younger bunch, which certainly could no longer uphold these views, was in great need of a breath of fresh air – a new media source reflecting their vision of Malta 2016 and not Malta 1980. Both, DCG’s Notebook and LovinMalta, approach their topics in ironic and playful manner yet their targets differ significantly. While the Running Commentary primarily focuses on deriding the ’embarrassing low class habits’ of Labour Party establishment, LovinMalta covers a broad range of topics appealing to the audience from diverse backgrounds, aiming to shake the existing symbols of segregation. 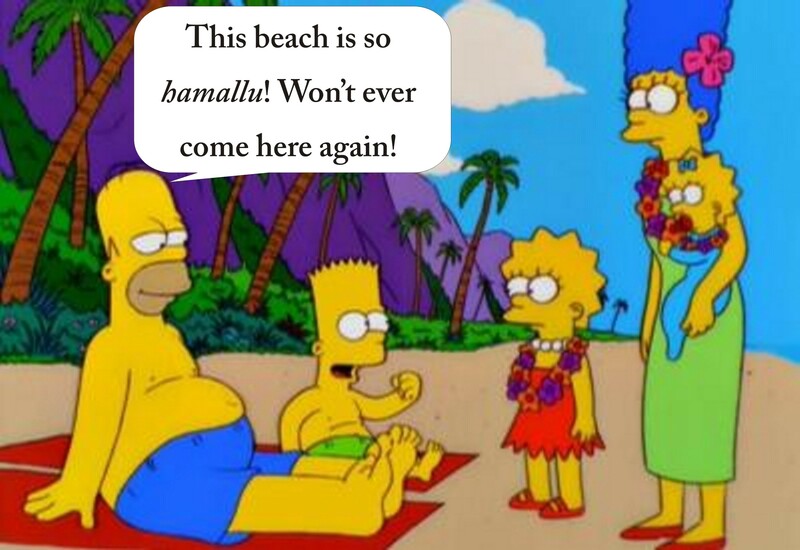 LovinMalta is gaining momentum not only in “7 ‘Subtle’ Ways Your Maltese Family Calls You Fat“-like stories but also as a source of political irony. 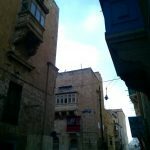 If until very recent, the Running Commentary was the only credible source of such (rather bitchy) humour, LovinMalta contested it with their “Muscat On Cannabis Law, Property Prices And His Strict Diet Regime”. The cleverly spotted vacant niche, the witty content and the refreshing style resulted in a blast that is more than a million views in just four months. LovinMalta has indeed made a historical shift away from the persisting dualism in anything politics, society and culture. Let’s see whether it will succeed to eventually blend the isolated social clusters into something new and refreshing. Now, that’s a strange topic for a write-up. 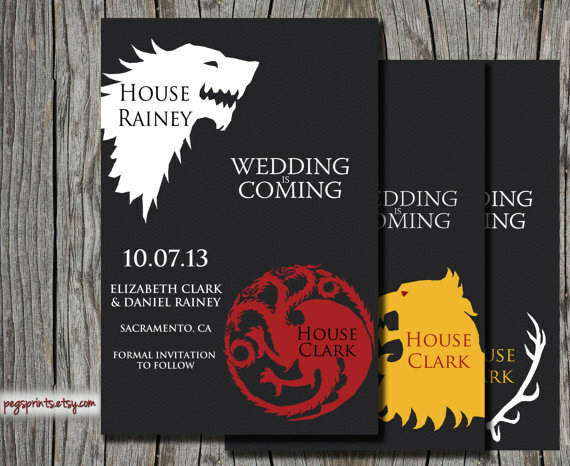 Weddings are known to be fun and certainly do not require survival skills unless they are replicas of GoT’s Red or Purple weddings. So why does anybody need to know how to survive a wedding in Malta? Simply because weddings here tend to be too formal and, for that reason, outstandingly boring. In fact, it is a mystery how a nation known for its colourful religious feasts, buzz and a refreshing irreverence for formalities came to adopt such a sombre fashion of (supposedly) once-in-a-lifetime event celebration. Given that the wedding season is in full swing, it doesn’t hurt to learn a tip or two on how to make the most of it. On making their first inquiries about weddings in Malta, foreigners usually hear a lot about an open bar and loads of food. Although the promise of an open bar and loads of food is true, reality, as usual, rarely lives up to expectations. Unlike Gozo where weddings celebrations are mainly executed in a traditional, seated style, in Malta it’s a standing-up reception normally held in a villa or a garden. The wedding venue manifests itself by the melancholic jazzy tunes and the absence of parking spaces in its proximity. Once a bright-coloured caterpillar of sparkly evening gowns, high heels and black ties ceremoniously proceeds through the entrance, it immediately breaks into small groups, couples and single individuals in search for acquaintances among 300-600 guests or chairs to rest on. To be fair, a few tables and chairs are scattered around the venue but they are meant mainly for elderly, so unless you are at least 65 years old, you better keep wishing someone gets tired of seating down sooner or later. The Phase of Wild Joy: after cutting of the cake. The first hour at the wedding party is fun. The relatively small number of guests still allows some space around you to breath freely. Everyone is still too relaxed or too busy taking selfies to queue for drinks. The ladies are very pleased with their looks and the gentlemen are delighted that the ladies are pleased. The sound level still allows small-talk conversation – if you are lucky to run into an acquaintance and strike a conversation in the first place. And if you are unfortunate to know not a soul around, the ambiance is still enjoyable thanks to the music. And what music that is! You just can’t stop humming “The Girl from Ipanema”, “Fly me to the Moon”, “My Favorite Things” and, of course, “Xemx wisq sabiha” (you better learn the lyrics as you are going to hear that one a lot of times). The cool phase is reaching the plateau. In the meantime, the newly wed are walking around and welcoming guests with a well-concealed struggle to remember who all these people around are. Inviting everyone and their dog to a wedding is a norm in Malta. Often the wedding celebrations are the only chance for distant relatives to meet – no wonder the groom struggles to recognize the bride’s mother’s third cousin and the bride meets her husband’s great aunt for the first time right at the wedding. Once the greetings are said, hugs – given and pictures – taken, you can briefly enjoy a few bites of finger food and another glass of bubbly flowing by on trays. The fun phase smoothly turns into the phase of desperate boredom. Inspect the cake and decide whether it’s worth staying any longer. If you are indifferent to cakes and their like, you still have a chance to save the rest of the evening by heading some place with more chairs and people you know (nobody will spot your absence anyway). If you are vegetarian or vegan, try to enjoy your remote engagement with food by watching others eat. If you are a woman, forget about your aching feet and purposelessly walk around looking pretty. If you are a man, enjoy the sight of pretty women purposelessly walking around. Take as many selfies as you can (when will the next occasion to wear that dress/suite, be after all?). Entertain the idea of jumping into the pool to the shock of the hosts or imagine a random guest falling into the pool. In case you didn’t know, the wedding venue pool is there for a decorative purpose only. Should anyone happen to fall into it, the hosts have to pay a lump sum of a fine. Learn the lyrics of “Xemx wisq sabiha” so you can sing along – helps to pass time as well. “Ga-a-a-awrha ta’ qa-albi lilek irrid“, “Iva lilek irri-i-i-id“. The cost of the wedding that is killing you with boredom is likely around 30-40K Euro. Thanking your lucky stars for it is not actually your wedding might boost your mood a little. Once you’re done queuing for a drink, start queuing for another one right away so, by the time your glass is empty, you’ll have a full one. Thus, while everyone struggles with boredom, you’re spending time with purpose. Once you’ve stoically made it through the Phase of Desperate Boredom, be sure the worst is over. The reward – a piece of the cake you decided to stay for is served immediately after the couple is done with the waltz. Moments later the music abruptly switches from jazzy mellow “You raise me up” to the mix of wild rock n’ roll with a splash of tarantella and hava nagila. 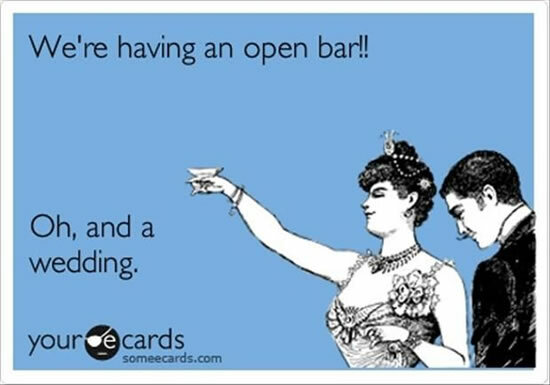 Finally, with the support of the open bar and the upbeat music, it is beginning to feel like a wedding. The new jolly ambiance calls to the dance floor but the tortured feet refuse to follow. To gentlemen’s delight, a bunch of ladies still makes it to the dance floor, shaking off their fatigue while courageously ignoring their stilettos. A few more bites of dessert and it’s time to go home. Never mind the bride’s bouquet. 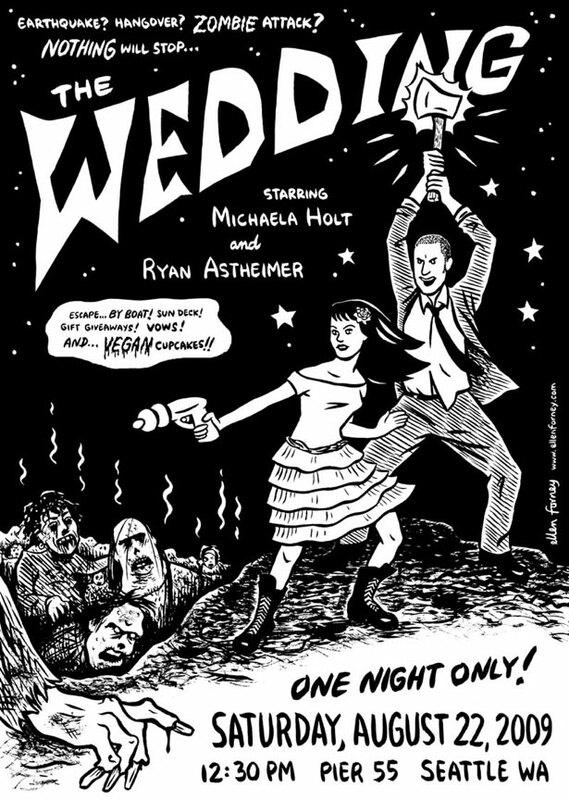 This slightly exaggerated yet not entirely untrue sketch of weddings in Malta might make you wonder why the heck your peers are so enthusiastic about being invited to one. For a long time, this puzzled me as well until I have finally found the key to this mystery. A wedding reception is a sip of glamour, a chance to entertain a few celebrity red carpet moments for today’s Cinderella. While for some it is an opportunity to air that fab outfit and to try that hairstyle, others take a chance to explore the open bar content and to admire the beauty efforts of the fairer half. At the end of the day, everything boils down to a selfie. Happy wedding season to all! Like Malta Sketches Facebook page if you like more articles like this one. We all know how Malta looks on tourist booklets: turquoise sea, Azure Window, Blue Grotto, luzzu boats. While the tourism sector of economy profits from these pretty landscape features, construction boom is actively reshuffling the cards and screwing everything up. Look around and picture what tourists see most frequently during their holiday in Malta? What do you see on your daily home-office-shopping routine? Blue Lagoon? Azure Window? No, what you see is cranes. Since my first arrival to Malta in 2007, never have I seen as many cranes here as in 2016. They literally dominate the horizon. Malta 2016 is a perfect location for filming a blockbuster where cranes turn into carnivorous monsters and some superhero comes to the rescue by exploding all the construction sites. The concentration of cranes this high looks intimidating and inspires a pessimist vision. I’ve lost count of cranes seen on a daily basis following a weekday route Valletta-University and a weekend Valletta-Sliema route. 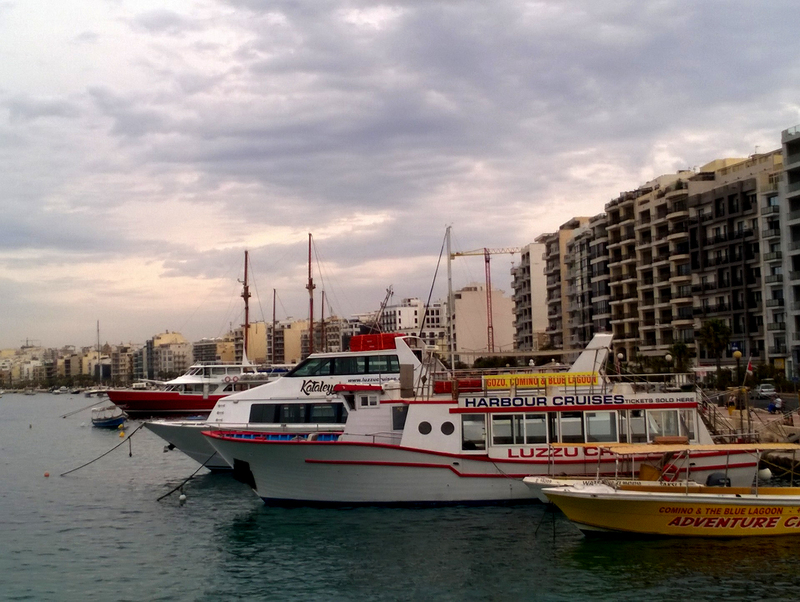 These two routes are also the most common among tourists and students visiting/living in Malta. 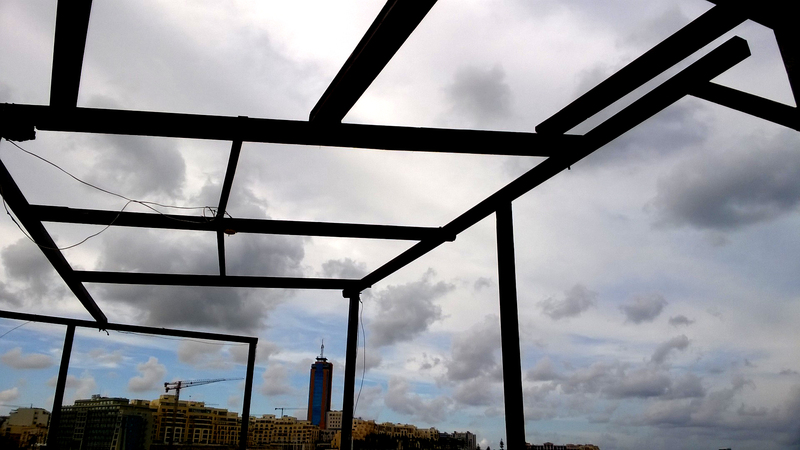 So is it cranes/construction sites/future skyscrapers that attract visitors to Malta for or is it pared-down Mediterranean lifestyle and views that they are after? Unsurprisingly, Malta is painted as ‘a lifestyle destination’. The slogan, however, is not verified by reality. Ads versus reality. Never mind the ‘sunny temperatures’ bit. So let the routine crane count begin. Crane count begins on a bus to the University. How many cranes do you see on this photo? The correct answer is 3. On the way from the bus stop to the office I see another one, right on campus. That makes 4 cranes. After work, I walk to the other bus stop and see two more construction’s skeleton silhouettes (that makes it 6). 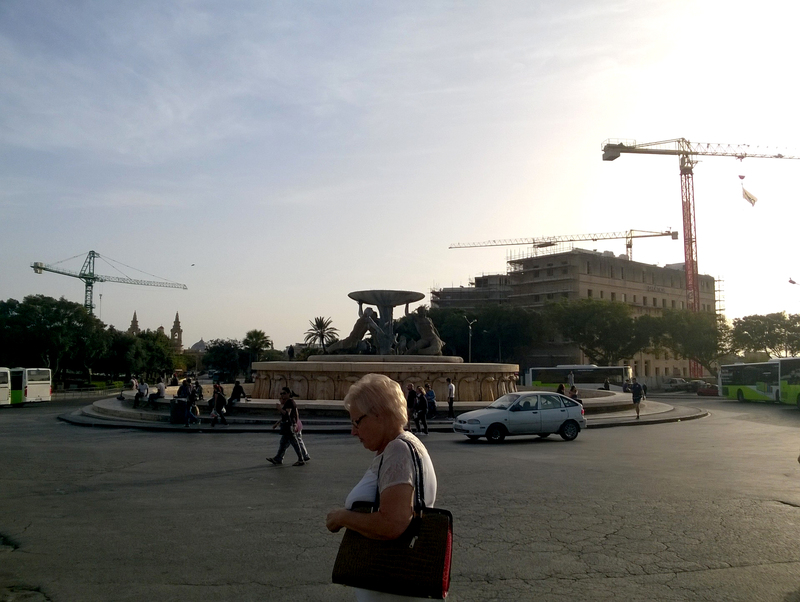 Right upon arrival to Valletta, I am greeted by three more cranes (9 so far). Walking through Melita Street I see another one: 10 cranes on the way from Valletta-University and back through the main roads. 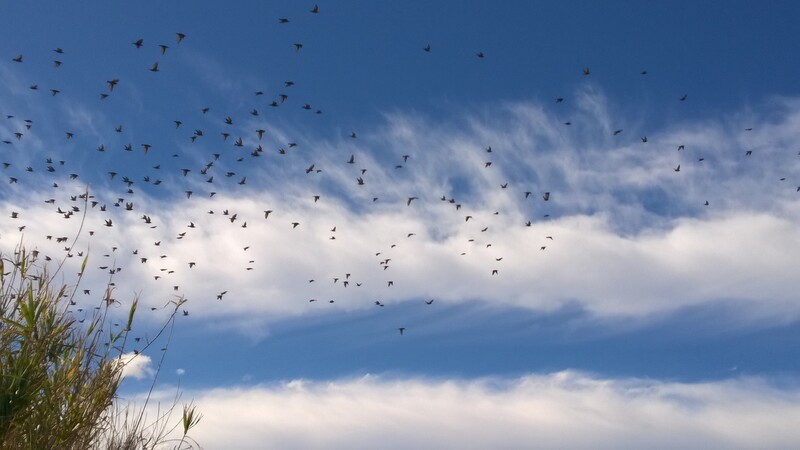 Concentration of cranes along the University-Sliema-Valletta route outnumbers this count. 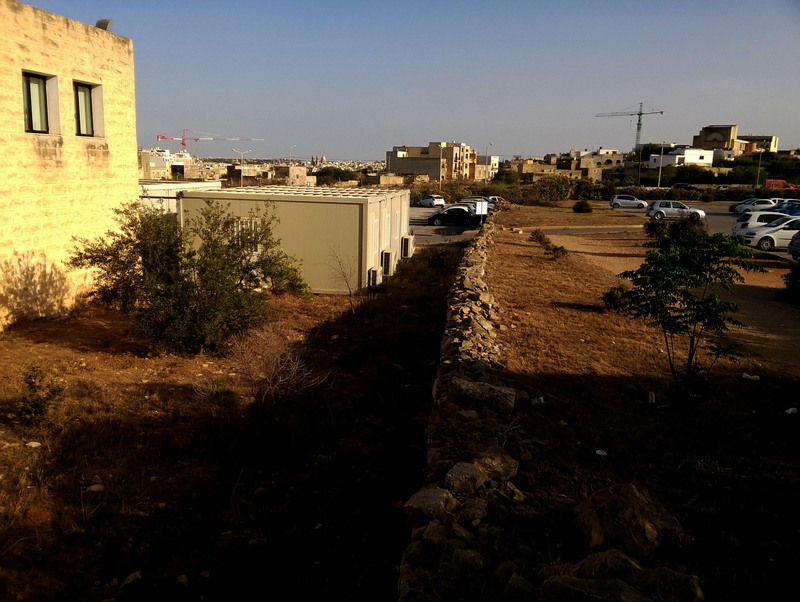 Density of construction sites on the way from Gzira to St. Julians raises proportionally to the concentration of tourists. 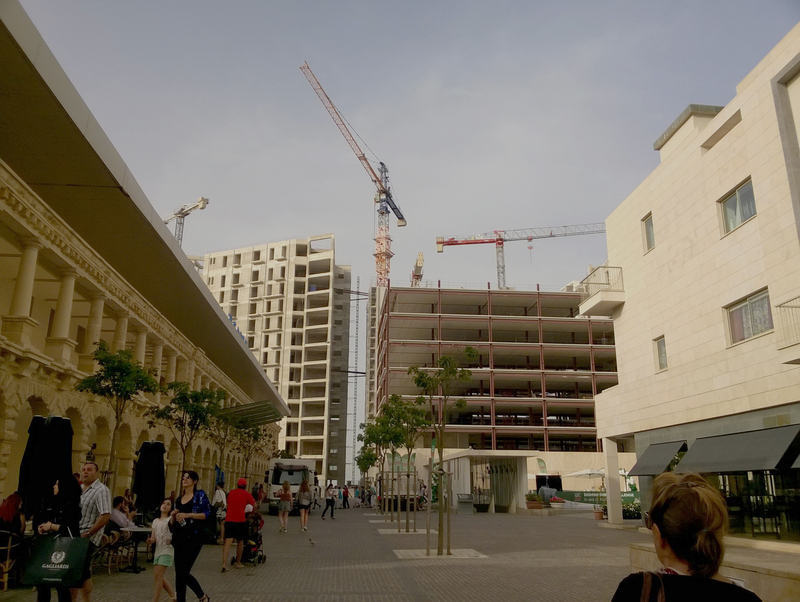 Therefore, what guests of the country experience most during their stays in Malta is cranes, noise and construction dust. 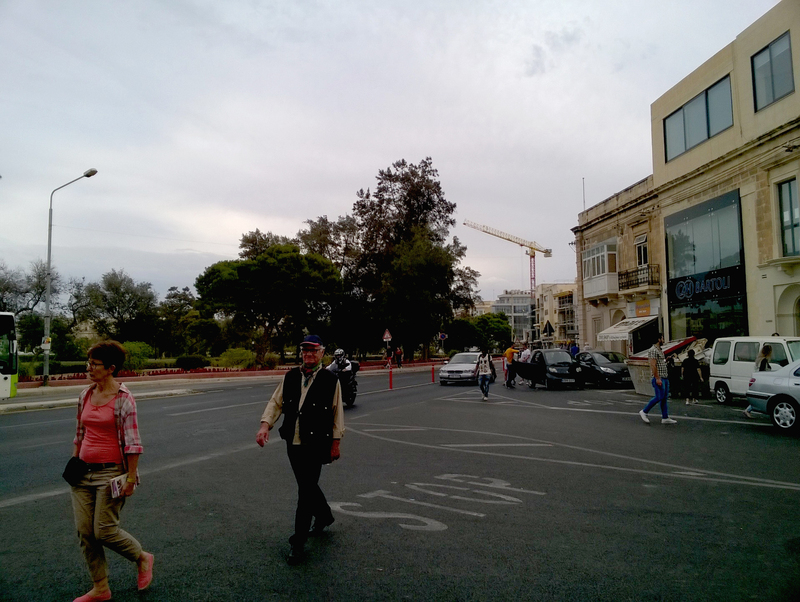 Over a 30 minute walk from Msida to Tigne cranes are the most frequent encounter. Malta Tourism Authority should advertise crane sightseeing in Malta. 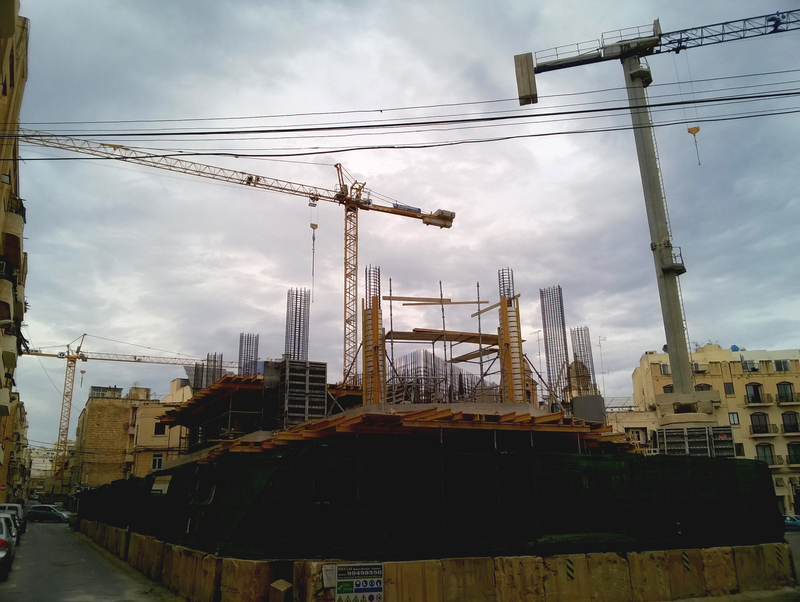 A massive construction site in Gzira (Manoel de Vilhena Street) – 3 cranes so far. 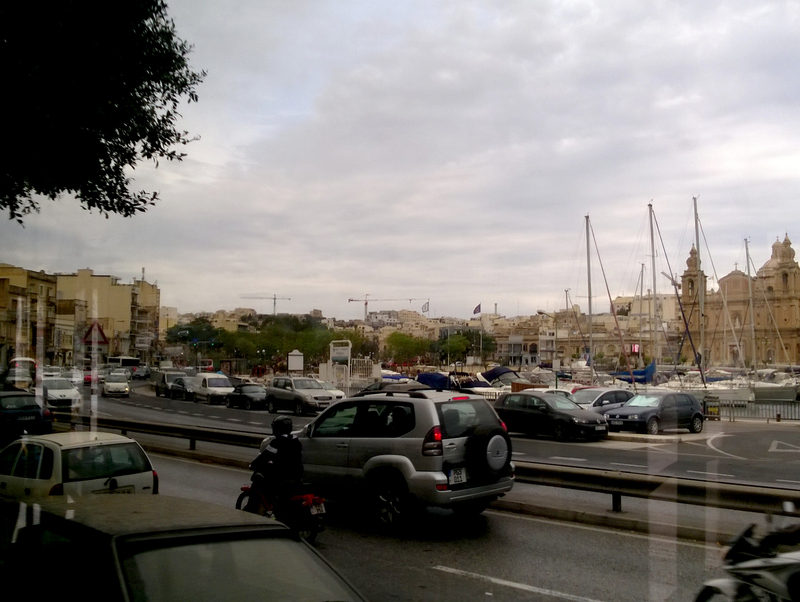 The Strand, Gzira: more cranes. That makes it 4. 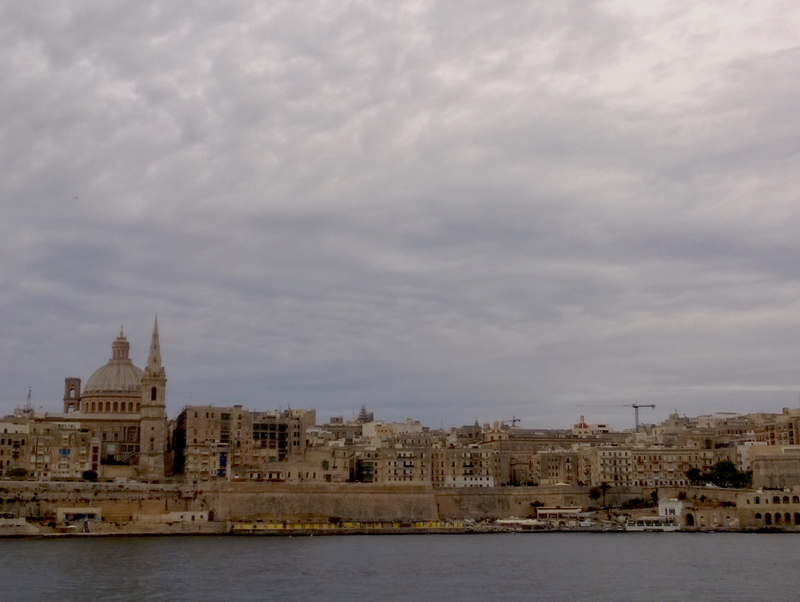 Two more cranes grace Valletta skyline (13 cranes in total). In case you fancy a walk from Tigne to St. Julians, crane sightseeing becomes even more exciting. St. George’s bay in St. Julians is where the crane concentration is above the survival limit. And it’s only a start. 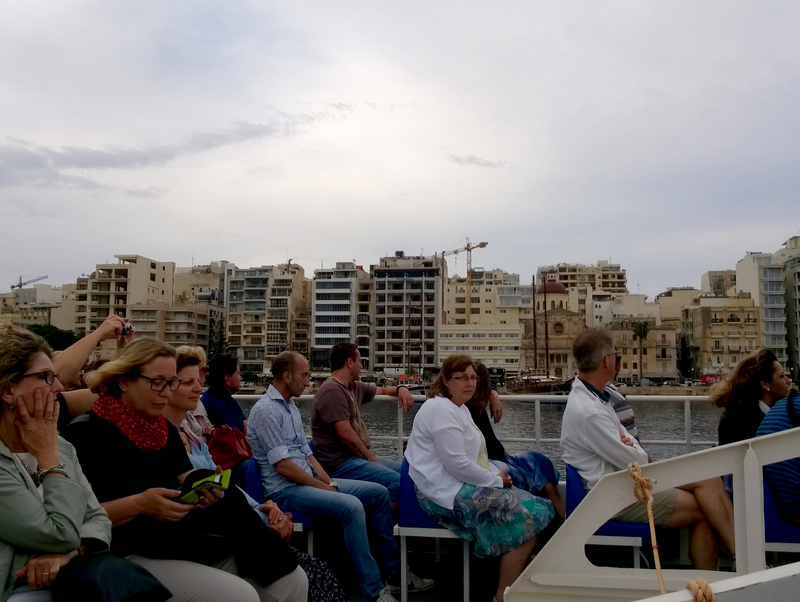 Anyone whose routine journey includes Valletta-University-Sliema route is likely to come across at least 23 cranes per day. 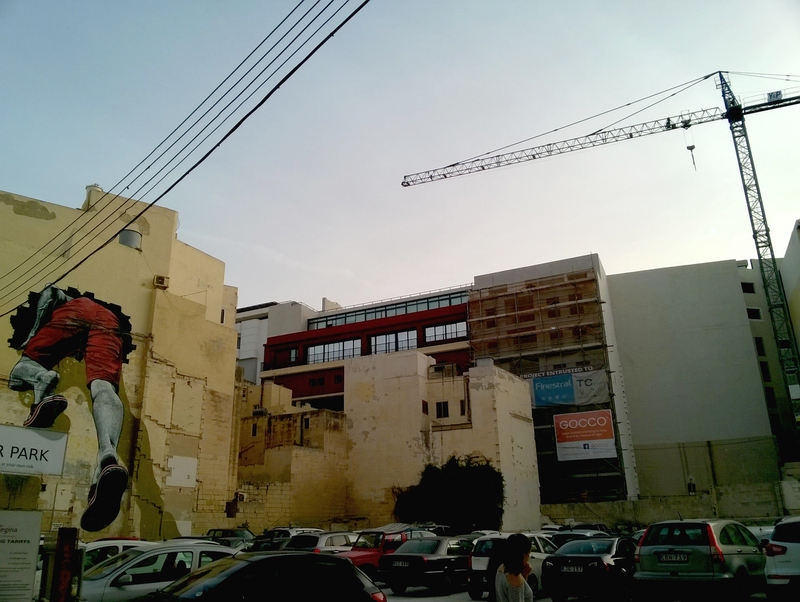 That makes one of the most tourism-dense areas in Malta also one massive construction site with all its cons. If the tourism industry plans to survive the construction boom, about time it starts planning crane sightseeing trips, as there might soon be nothing else to see. 20 cranes:1 Blue Grotto is a great reason to visit the country, isn’t it? Support Kamp Emergenza Ambjent and Front Harsien ODZ to defend the country from the ongoing crane siege. Have you noticed how cautiously Maltese make new acquaintances? It might sound like a thing of the past but in Malta, still, one is evaluated not only on the basis of who he is but also by which background he comes from. When introduced to a stranger, Maltese do their best to find out whether or not the acquaintance-to-be belongs to their circle. The procedure of such evaluation varies from questions like “which town are you from? or/and “what school did you go to?” to shameless peering at the stranger’s outfit and accessories in search for ‘this is my tribe’ signifiers. The latter approach is especially popular among the so-called tal’ pepe – the cluster infamous for their snobbery and class frustration, whose code of conduct is articulated by the best-known local blogger. 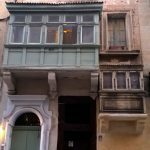 The single fact of having grown up in Bormla or Hamrun – pretty much any place south, including Valletta or, God forbid, Gozo – is enough for a contemptuous look. Grounded Maltese also do not hesitate to fish out as much information about strangers’ origins as they can. It is customary to burst into tireless mention of possible common friends, acquaintances and distant relatives right upon having learnt about the strangers’ home locality. Conversations like “you are from Birgu, right? My mother’s cousin’s husband’s brother is from there! And Gorg, mastrudaxxu, do you know him?” might seem pointless to the outsiders yet practically unavoidable for the locals. 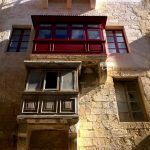 A Maltese cannot sneeze without revealing something about his locality, family or political views. 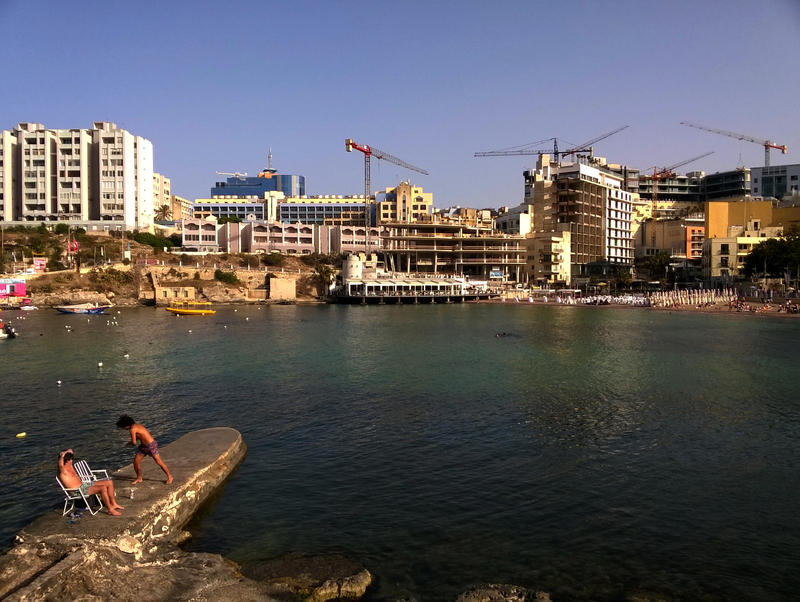 Once landed in Malta, the majority of foreign IT developers, PR professionals, designers, architects, researchers and so on immediately and by default find themselves in the middle class environment. The middle class in Malta is very young and diverse, with a non-uniform level of education and family background. 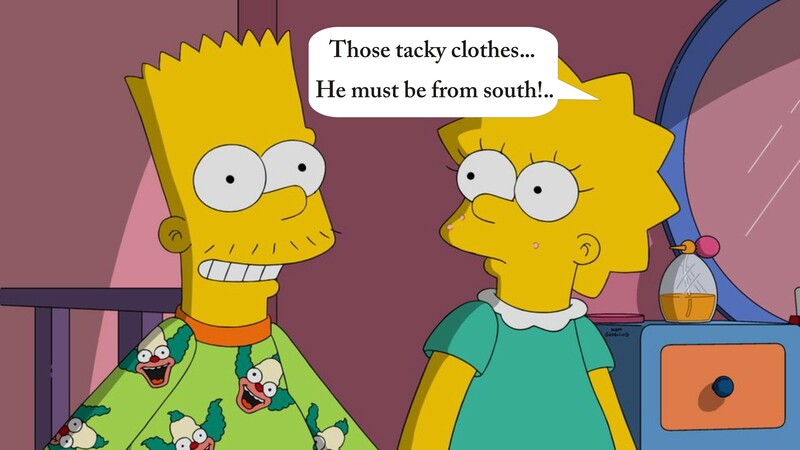 Many of the young and prominent Maltese figures come from rural areas and modest family backgrounds and thus detest being evaluated on the basis of their origin. On the other hand, foreigners do not care which school their Maltese friends went to, and which locality they come from – that is why, among foreign friends, so many Maltese feel appreciated for who they are. 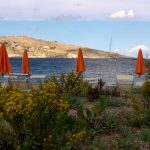 Being able to enjoy the country in all its diversity without having to pass everything through a filter of bizarre local symbolism is a great advantage for foreigners in Malta. 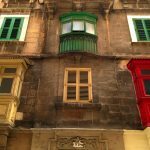 A foreigner in Malta can see things fresh and judge them by what they really are and not by what they mean – it counts, doesn’t it? Maltese society is very fragmented and operates within a few rigid bubbles that do not interact. In fact, the very sentence “Maltese are …” is incorrect as there is no single stereotype or a common understanding of what it means to be Maltese. Maltese from different bubbles have as little in common as do British and Sicilians. Malta’s rural areas are divided into bubbles by locality and the urban Maltese bubbles have schools, professions and family traditions in common. Bubbles have their own infrastructure; their members mostly attend events organized by the bubble, giving no damn about what other bubbles are up to. Bubbles are units of social interaction. In Malta physical proximity means nothing. Alternative youth, hipsters and slightly off-mainstream adventurers might hang out a few meters away from one another yet barely they would notice each other’s existence and whereabouts. 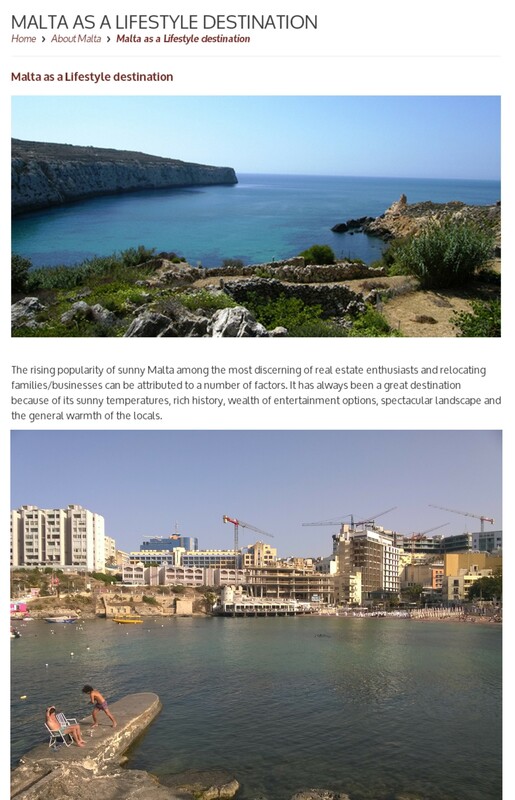 It is not exaggeration to say that most of Maltese do not imagine a bigger picture of their own country. No wonder that after a while such clustered socializing becomes suffocating, claustrophobic and boring yet even then, for a Maltese, changing bubbles is ultra difficult. For a local, assimilation into a new cluster is a challenge. A new bubble member has to pass through the “school-locality-status” evaluation procedure which isn’t fun. On the other hand, foreigners can attend events organised by different bubbles and hop from one bubble to another. Today they can attend a poetry book launch, tomorrow – join a high-society event and the day after go to the Hamrun feast. What sounds simple to an expat is out of reach for a local. Seeing the country through thick glasses of class symbolism, Maltese cannot explore and enjoy all aspects of their diverse country. Bragging about high self-esteem and active self-promotion are culturally accepted in Malta. In case your Nordic mentality kept you from enlightening everyone what amazing talents you possess, here you don’t have to hesitate. Not only is enthusiastic self-promotion not considered cheap here, it even becomes almost necessary not to disappear on the background of oh-so-bright and so-very-talented individuals praised with countless ‘prosit’ upon their achievements. Maltese from humble family backgrounds feel pressure to prove they are worth something and that is where the never-ending flow of self-praising comes from. Foreigners in Malta are spared from having to prove something to everyone. They certainly do not have to flaunt their degrees and career achievements, they can just relax. Maltese, to some extent, look up to foreigners so there goes your bigger-fish-in-a-smaller-pond moment. The problem is that the pond is even smaller than you think. Basically, the size of the pond is the size of a bubble. If you are, say, an artist, your audience will barely exceed a bubble of a few hundred people (artists or wannabes themselves). Most of creativity is produced and discussed within a bubble, for the bubble and stays there. Your moment of glory won’t last long. Soon after, you will need to remunerate your peers with all the prosit! they gave you. People applauded you today in order to receive ovations tomorrow. The number of prosit! does not depend on degree of achievement nor does it reflect any merit of your work. While it is customary to brag, ‘well done!’ in Malta means nothing, absolutely nothing. Found it interesting? 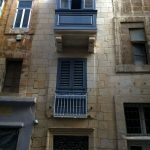 Subscribe for more articles or like Malta Sketches Facebook page. Once I was told how you would never stop looking up when strolling around New-York. I cannot tell – I have never been to New-York – but I trust it must be exciting. 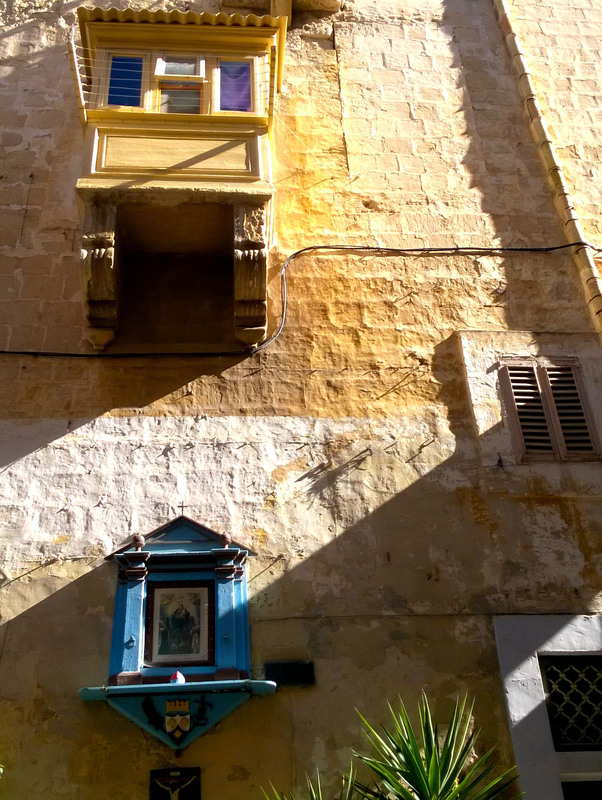 What is stopping you from never ceasing from looking up in Valletta, however? 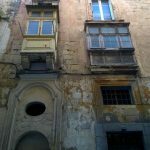 New-York is far, Valletta is close and balcony-spotting there is fun full of discoveries. 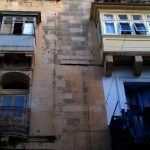 Soon after the selection of Valletta’s most beautiful balconies had been complete, a new portion of new unique finds accumulated. 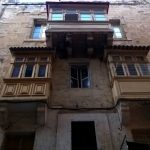 It is difficult to spot two identical traditional balconies in Valletta unless they belong to the same palazzo. 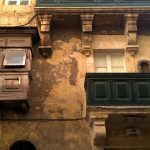 The variety of balcony types in Valletta is the beautiful side of Malta’s architectural anarchy. St. Ursula and Archbishop street are particularly rich in unique architectural features. Click on the map below for a virtual balcony tour or access the full map. Have you ever seen a wooden balcony-resembling structure smaller than this dwarf in Archbishop street? 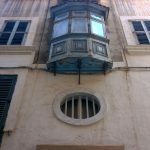 This curious structure is a mix between a muxrabija window and a balcony. One can only wonder whether it serves any purpose apart from decorative and what it feels like for an adult to stay in there. 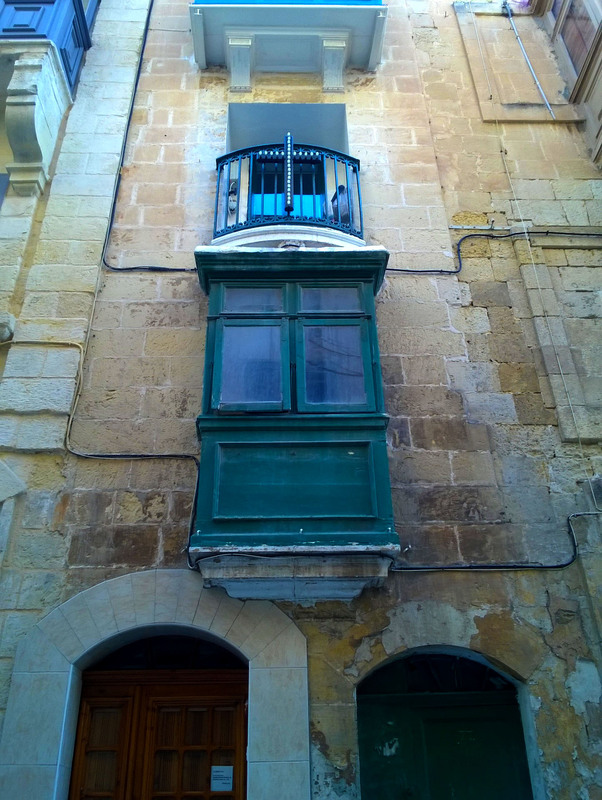 Balconettes, barely protruding from the wall structures, also referred to as Juliet balconies, are not uncommon in Valletta. This one in St. Dominic Street is the smallest in size. Although all unique, these three balconies have one thing in common – curved shape. 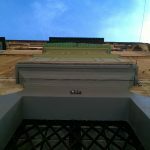 The green balconette’s rounded base is almost indistinguishable from the decorative edge on the facade. 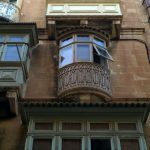 With its curved shape, tiny size and the elaborate metal railing, the balcony is fit for a doll’s house. The white elegantly curved balcony in lower West Street is similar to its green sibling except it protrudes a little more prominently from the wall. Squeezed between much larger balconies, it appears out of place. 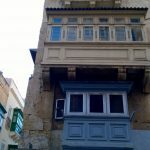 It is one of the many symbols of the architectural anarchy in Malta. 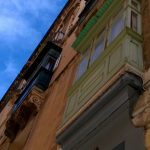 The all-wooden blue balcony on Archbishop street is a surprising discovery if you look up every so often while strolling around the baroque city. 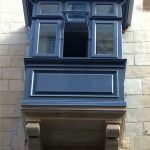 This balcony forms part of the newly restored house in lower West Street. 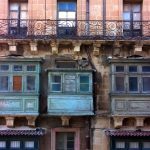 Its imaginative roof design is unique to Valletta – so much it resembles Medieval coffer ceiling with its essential decorative elements. 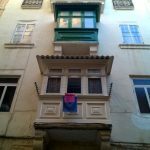 Even though aluminium window frames ruin its authenticity, this balcony in lower Republic street has its particular humble charm. 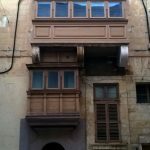 Another asset of the architectural anarchy in Malta. 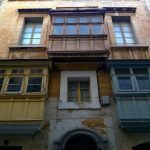 Although this yellow balcony on the corner of Old Mint and Archbishop streets is a little larger than a bird’s nest-box, it is equipped with clothes lines. Have you ever noticed these two triple-window miniatures in the close proximity to Casa Rocca Piccola? Indeed, strolling around the baroque city with your head up is worth it. 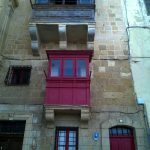 Double-window balconies are scattered around Valletta. A couple of them, twin brown balconies in St. Ursula Street, were newly restored. 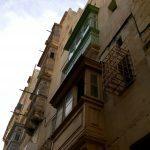 Triple window mini balconies are most concentrated in lower Valletta, especially lower Republic street. From all the balconies of various shapes and colours one is especially particular. Spot the little green balcony in Sappers Street, part of the abandoned house, and you will notice the flushing tank right above it. Overlooking the Hastings Gardens, this must be a toilet facility with best view on the island. Wooden balconettes are intriguing. 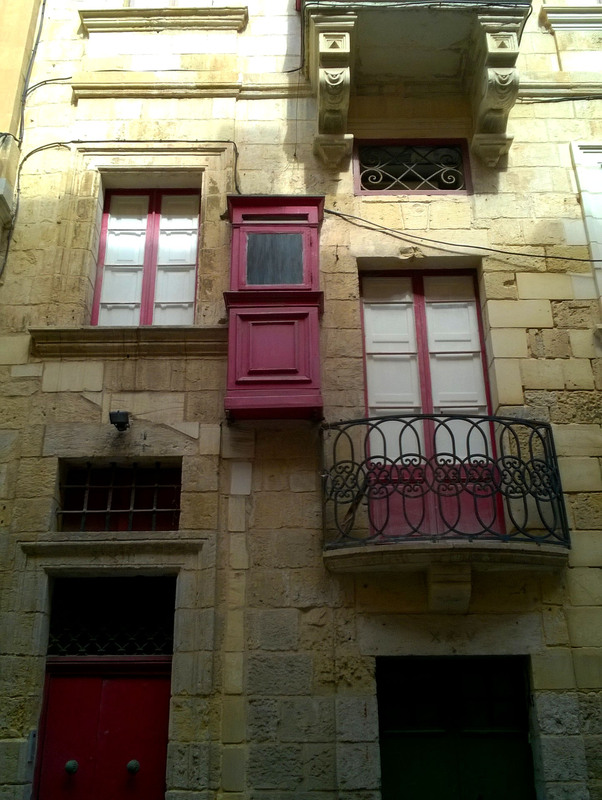 Although their shape is similar to the other traditional balcony types, they barely protrude from the facades. 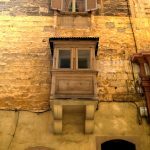 A wooden balconette is a teasers of a balcony – it only mimicries proper balcony appearance while lacking its functionality. 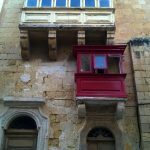 You can spot a few balconettes in lower Valletta, around Old Hospital and North streets. Found it interesting? 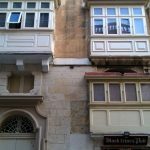 Subscribe to the blog updates and like the Malta Sketches Facebook page for more articles about various things Maltese. What if you could meet yourself from a far away land as if you were strangers? Would you recognize yourself then? Hardly do we see ourselves LEGO-like, constructed from different customs, languages, mentalities and geo-references that can be altered into a new combination. No difference is felt between a self of yesterday and that of today. What if your consciousness is not as indivisible as you think? What if you met yourself a decade younger, would you be friends? A few days ago a ghost from the past sprang out from an email by someone once very dear, whose influence on me back in my Russian days was unprecedented. It felt as if I could hear myself of a decade younger talking to the present day me and the voice from the past did not sound any familiar. On the contrary, those few sentences made me realize how much these past few years have changed me, how far ‘my Russian past self’ and ‘the Maltese me’ have grown apart and how much this transformation is irreversible. The message, the sound call for patriotic love for the motherland and the firm condemnation of immigration brushed upon my senses like sandpaper on bare skin. It was disturbing and alienating. It made me wonder what response the exact same words would have caused in me if I never left Russia – would it have been natural to side with that point of view? I would have been different then, no doubt. Existence determines consciousness. ‘The Russian me’ today would have regarded ‘my Maltese self’ as a traitor, a poor-spirited westerner who exchanged the excitement of belonging to one of the world’s greatest powers for the comforts of a European residency. ‘The Russian I’ would disdain, just as much as my former alter-ego did, the lightness of the Mediterranean lifestyle as unintelligent. The very thought of how different my consciousness could have been in different environment from what it is today scares me. And what scares even more is that I could have approved of something I so dislike now. 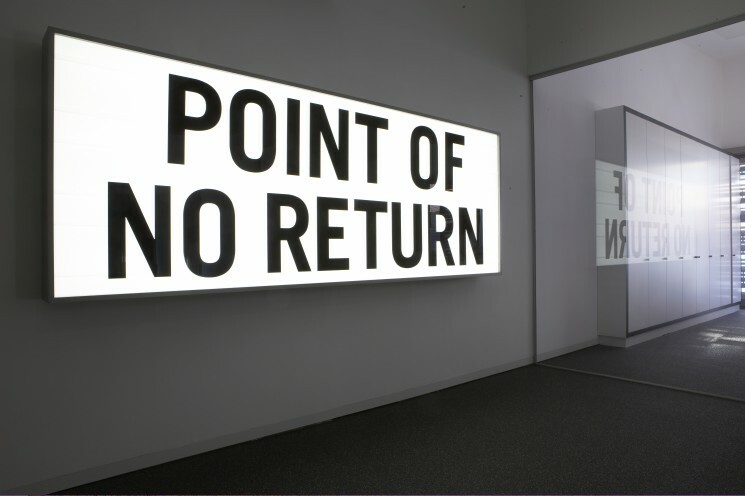 You know it precisely when you hit the point of no return and the idea of returning to a place once called home brings fits. When a message from a former soul mate, so admired back then, is ideologically offensive, you know there is no way back. 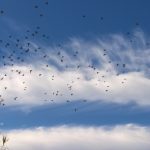 It is not the fear of being again misunderstood and constantly unaccepted but the fear of subjecting myself to a risky mental experiment – existence determines consciousness – and feeling comfortable with the ideas cultivated on the other side of the fence. If, to a great extent, my consciousness is a function of the social reality around me, I would like to be able to choose what reality to be a function of. Even after decades spent in immigration, many of us still care of that, often invisible and unsensed, umbilical cord connecting to the place of birth. There our eyes saw the world for the first time, there belong all our childhood memories. Cutting yourself off from the homeland is painful. Your senses were hurt beyond healing and you had to perform an emotional surgery. What once had been an indivisible part of self became external and disconnected. The remains from that umbilical cord are now in the fragmented memories of rather sentimental than ideological significance – the sunlit memories of bursting buds and of the air filled with the rustle of sticky newborn leaves, of the spicy smell of spring grass, of the smoky scent of autumn and the cards with greetings. The memories are the roots transplanted into new soil. Admitting to yourself there is no return unavoidably separates you in two: the one back then and the one now. These two might be best friends or they might not be, but in either case no longer are they one. Despite its frequent mention, the word ‘migrant’ tells nothing about an individual except for that he no longer lives in the country of origin. Although it gives no insights into what makes one a migrant, the term itself is enough to draw a line between those who remain in a home country since birth and those who deliberately chose what country to call home. Linguistics and social sciences attempt at classifying ‘migrants’ into different categories based on the external conditions that lead to leaving the country of origin, yet these categories dehumanise the individual experiences hidden behind them. What distinguishes RIMA project from other initiatives focused on the matters of migration, is that, rather than calling for acceptance of migrants, it delves into the very heart of the matter by searching for an integral and comprehensive definition of the term ‘migrant’ itself. Coordinated by Virginia Monteforte and Elise Billiard Pisani, RIMA project brings out personal experiences of migrants – individuals looking for their sense of home outside of their country of birth. The project dissolves boundaries between a ‘migrant’ and a ‘non-migrant’ by defining them both through a personal journey in search for home that is common to us all. 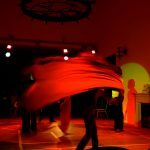 The real life stories collected through RIMA were transformed into a theatrical adaptation titled ‘Encounter with migrant narratives’, directed by Marcelle Teuma and held at Palazzo Pereira on 26th and 27th February. 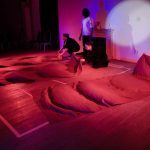 The performance involved four actors, two of whom were amateurs, and a minimalist set-up which helped to establish a feeling of intimacy and connection with the audience without sacrificing the means of expression. Four actors, five different journeys in search for a place to feel, as stated by one of the narrators, “accepted, protected, welcomed”. 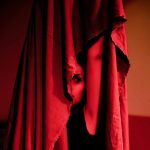 Sharon Bezzina, an actor by profession, presented her interpretation of two stories – one by a Japanese woman, driven by photography and thirst for travelling and the other – by a young Maltese female who moved to Milan for her studies. Magdalena Van Kuilenburg interpreted a narrative of a USA migrant married to a Maltese man, who was attempting to find home in Malta after spending a few years in UK. Both, Marta Lombardi and Ali Konate, told their own stories which established a unique and profound feel of intimacy and trust between the cast and the audience. While the reasons that set the female characters on a journey originated in their own willingness, same did not apply to a Mali-born Ali who was forced to leave the country of birth even though he was deeply rooted to it. The expressive exploration of the limits that prevent the sense of home from setting in was the most memorable element of the performance. The play began from portrayal of unspoken distrust and isolation between the Japanese avid traveler and the American migrant, expressed by placing a line of tape which remained dividing the two for a while. The interpretation of this line of tape could vary from physical limits such as country frontiers to more subtle reasons like lack of common memories or customs that consolidate individuals into a nation. After a while, the sharing of life experiences finally broke the ice between the two and created an opening in the previously solid line of tape. 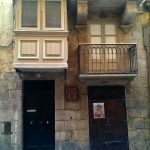 The exploration of limits did not stop at portraying the country frontiers, it delved into such obstacles of emotional comfort as physical boundaries of a tiny studio apartment (whose plan was outlined with tape right on the stage) which made the Maltese architecture student miss Malta in Milan. Marta Lombardi’s search for home was of a more intimate kind, the barriers keeping her from feeling at home emerged from difficulties to be understood, accepted and welcomed. “We find home in people just as much as in places” (*). For a moment the cast got united around a dining table celebrating Marta’s hospitality yet, even in that warm surrounding, she admitted the struggle to feel at home in Malta. 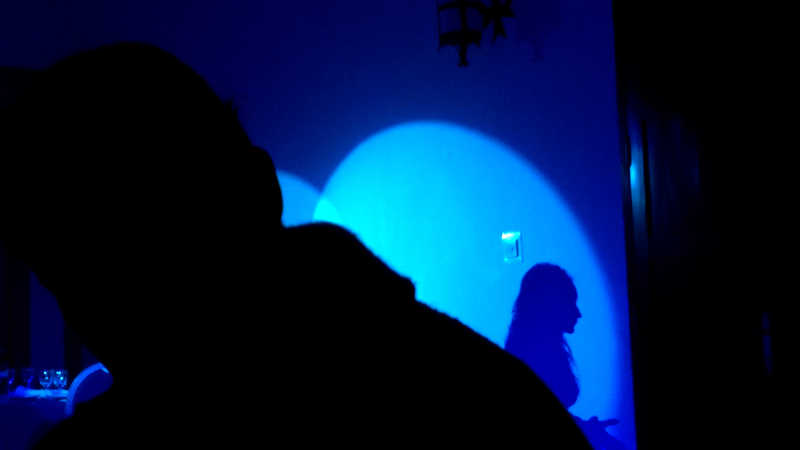 The most visually striking part of the performance was Ali’s narrative. The sense of uneasiness and alarm created by his story of forced resettlement and a journey on a flimsy boat was accentuated by his colleagues on stage, whose synchronized fluttering interactions with scarlet draperies gave an extra visual dimension to the powerful message. Thus, at some point the scarlet cloths turned into waves, a symbolic expression of the waves of blood, the waters of the Mediterranean that kept the lives of so many on their way of finding home. Through the artistic means of expression, ‘Encounter with migrant narratives’ succeeded to depict the longing for a place where an intuitive inner state of home develops naturally. Also, the performance did quite a good job at underlining how natural it is for everyone to search for home, be it the place of birth or any other place on the planet, and how illusory the differences between ‘a migrant’ and a ‘non-migrant’ are within this concept. 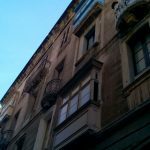 The only room for improvement could have been increasing the number of performances since the limited amount of seats at Palazzo Pereira did not allow the play to be viewed by a broader audience, which it certainly deserved. Click here if you wish to participate in crowdfunding of publishing the migrant narratives collected though the project. P.S. (*) “We find home in people just as much as in places” is quoted from an article by Marcelle Fenech. Building relationships with other people is no easy matter. While some of us learn through experiences, others prefer to see them accidental, giving green light to potentially harmful communications that inevitably result in disappointments. How much of a relationship failure is rooted in our own behavior and perceptions and how much of it is affected by those of others? Throughout my whole life I struggled to establish a lasting connection with creative and talented people I was particularly drawn to. In the majority of times I failed and, looking back at those failures, I can see how much they originated from my, at that time idealistic, perceptions of people. I am not the one to advice anybody on how to make lots of good friends – I haven’t reached that point of enlightenment and doubt I ever will. However, mistakes, observations and stories of the others have led to a few insights which in many ways helped me to build a circle of close friends I dreamt so much about. What took me so long to understand are, in fact, banalities from the Captain Obvious. In my younger years I had a habit of idealizing cultured people. I sincerely believed a well-read person must necessarily be deep, honest, considerate, and compassionate. How can a person so seemingly drawn to high culture be other than wonderful? How can a vegan yoga instructor who only consumes organic food and hand-made recycled clothes can be other than an angel on earth? They can be. It took me years to realize that consumption preferences are attributes of a particular social layer rather than indicators of the true depths of inner self. Be it visual, performance or written, art is a language that is not spoken and understood by many. For long “books were the emblems of a secret brotherhood” to me. Until at some point it got clear that neither the number nor the titles of books, read or displayed, mean the reader treats them as dear friends. That number by itself, in regards to personal depths and values, is as valid as a number of sandwiches consumed for breakfast. The law of the transformation of quantity into quality does not necessarily apply here. While knowledge deserves respect of its own, it does not always translate into virtues. It takes time, attention and respect to individual human experiences to understand whether works of art have made an impact on one’s state of heart and mind. There are no shortcuts to figure that out. Communication with gifted people is inspiring. However, no matter how outstanding and beautiful is the world they create in their works, gifted people do not always possess the qualities to be our close friends. In other words, admiring a work of art does not have to extend to admiring its creator. Personal disagreements, on other hand, should not prevent us from appreciating works of our opponents and vice versa, being friends with someone does not mean we ought to flatter and approve each other all the time. A few years back, I believed intelligence and talent justify any kind of ill behavior towards others. Truly intelligent people, I thought, could not be evil. Thus, against all odds, I kept justifying disrespect, envy, arrogance as eccentric and inevitable side-effects of intelligence. I could not be more wrong. Arrogance and lack of respect is a choice and for that reason highly intelligent people have even fewer excuses than anyone else. 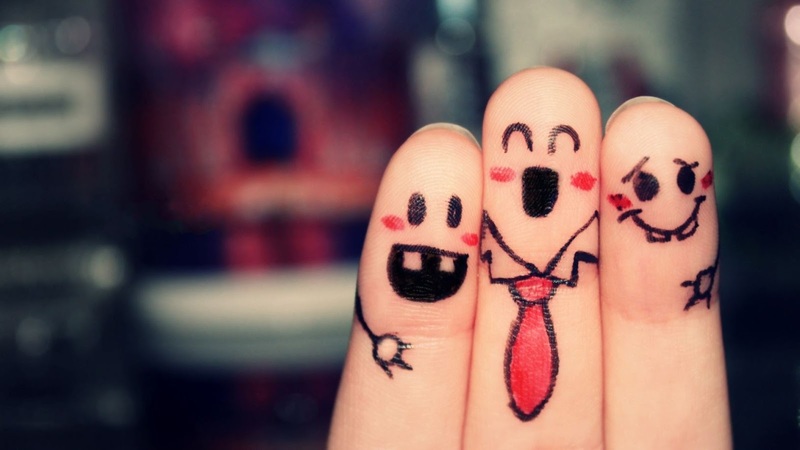 It is well-known that a lasting relationship needs a common ground to grow on. Our close friends do not oblige to be original, extra talented, enormously well-read, exceptionally culturally aware or entertaining. Having a strong interest in anything external to self unites people with different backgrounds and interests. With time I learnt that honesty, openness to unique human experiences and humility are among the rarest and most exceptional qualities one can possess. They might not manifest themselves in exquisite clothing style or shelves full of books. Although unmistakable, these qualities need attention and time to be recognized. It is an utter banality to state once again that we all are imperfect, that we all deserve a true friend and that a unique connection takes time to grow roots. An even greater banality is to admit it is the way we treat one another that says most about who we are. It seems, truth disguise itself in banalities. On Friday, 19th February Ede Books launched the 2nd series of the photography books by both, local and international photography enthusiasts (I avoid using term ‘professionals’ intentionally, more about the reasons for it below). 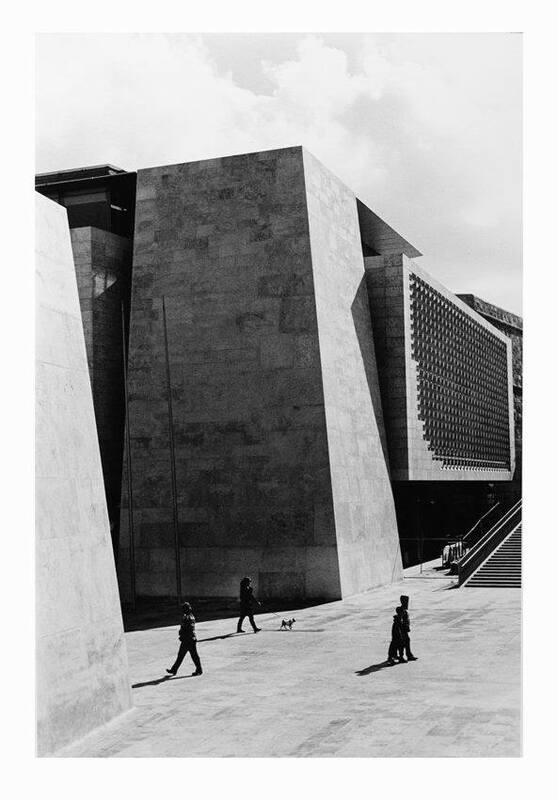 Apart from introducing a few great images from a variety of categories – from travel photography to urban and abstract – and attracting a broad spectrum of audience, Ede photo books’ events signified a cultural shift in Malta’s photographic scene. The outcome of these series certainly is a milestone, a breakthrough in a collective effort in search of a new photographic identity. A fair number of the photographs displayed at the launch signify the end of the era dominated by overly edited images of a rather poor aesthetic quality, locally marketed as ‘professional photography’. 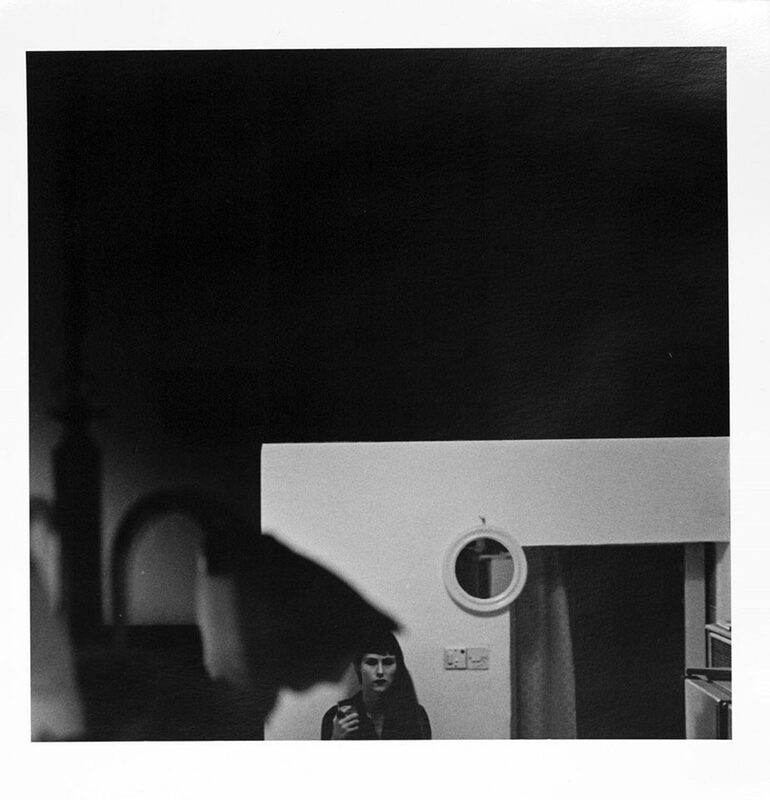 Some of the photographs were greatly influenced by the Workshop f/1.4, a monochrome film photography course opened two years earlier. By demonstrating the fundamental concepts and the magic of analogue photography, the workshop led by David Pisani and Zvezdan Reljic enriched photographic vision of many enthusiasts in Malta. The tutors’ passion for photography as an integral process was inspiring to many and bore great results. The book launch event was symbolic in many ways – it brought out the emerging eager for true photography as well as a few aspects which clearly undermined the persisting public misunderstanding of the very idea of photography. A number of times I was approached with the same question which, to my surprise, was addressed by seemingly culturally aware people. The question (or, to be precise, a remark) was ‘I didn’t know you were a photographer’. What makes one a photographer? Is it having a website with a collection of images, a self-description, a Facebook page or perhaps a tacky practice of watermarking pictures? Or perhaps just owning a camera does the trick? Sadly, flashing an expensive camera and a few lenses seems to be enough for many to call themselves ‘photographers’. Whereas there are various definitions of ‘photographer’, a description of someone fascinated with imagery who also thoroughly enjoys depicting it, is the one I side most with. The aesthetic value of a truly good picture is always greater than the object/event it portrays. While paying respect to the nature of the object/event, a photographer contributes his/her vision to the image and that is why the visual interpretation of the captured moment cannot be translated into words. An image that can easily be described with no loss of unique imagery is not a good photograph. 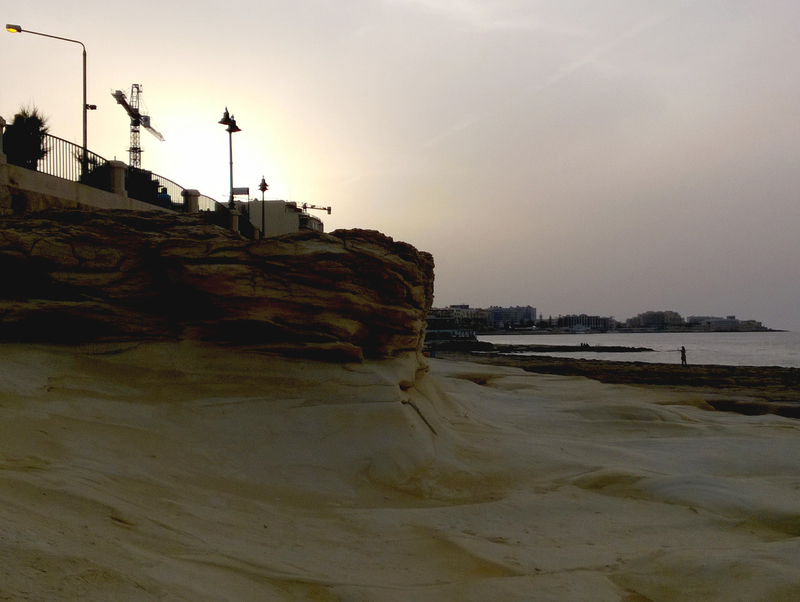 The event also pointed at a few other particularities of Malta’s local photography scene. Surprisingly, a number of the authors took the publication as a chance to praise their personal achievements of all sorts. It was abhorrent to discover the extensive lack of humility and self-irony that some of the authors revealed by literally dedicating chapters to themselves on the back page of their book. Manipulating public opinion by explaining why your own photographs need to be appreciated or, even worse, praising yourself for being a great photographer, is a foul approach that needs no further comment. As Milan Kundera wrote, “if a novel is successful, it must necessarily be wiser than its author”. The same is true about a great photograph. It speaks for itself better than an extensive description of its qualities. Ede photo books present a variety of such images. The greatest outcome of the whole initiative was in encouraging individuals, passionate about photography, whose work until recent had been overshadowed by individuals passionate about digital editing. 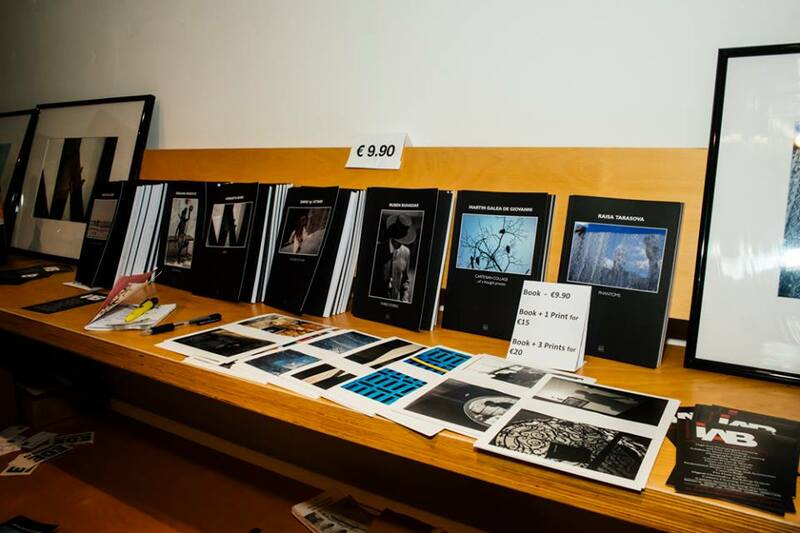 Should you be interested in purchasing a copy of a specific photography book or a whole set of books please contact edebooks.eu. P.S. I sincerely hope the article does not offend anyone since it was never meant to be an offense. I believe certain aspects need to be articulated even if they reveal an unpleasant side. As part of a group effort, I perhaps should have abstained from commenting on those aspects publicly but, alas, I did not manage. In Malta silence is scarce. It is unwelcome and is almost feared. 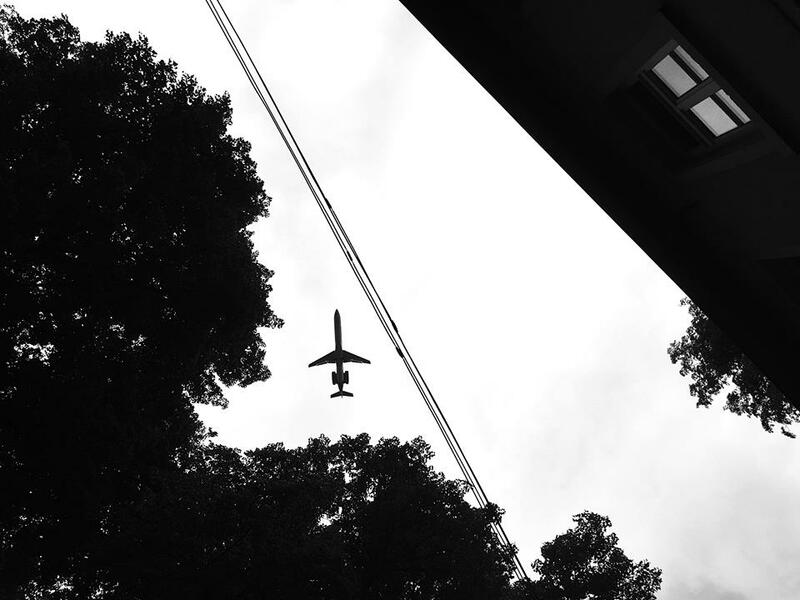 As if united in some secret anti-silence conspiracy, blasts of fireworks, church bell chime, gas delivery horns, loud conversations and passers-by’s vocal chords or/and car horns acting as door bells perform together to tear silence to pieces. Mediterranean passion for life and bustle does not have high respect for the noise-free environment. Every day, passion for life is celebrated here with fanfares and splashes of colour, leaving silence no other place but afterlife. 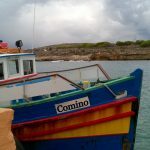 Comino, the smallest of the inhabited islands, attracts hordes of tourists and locals alike. In summer the famous Blue Lagoon fills up with boats, parties and laughter – everything that stands for summer fun by the sea. 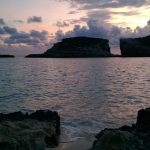 For too many, the Blue Lagoon is where Comino starts and ends, perhaps, that is why, by the end of autumn, the tiny rock of impeccable charm turns into a retreat of silence. 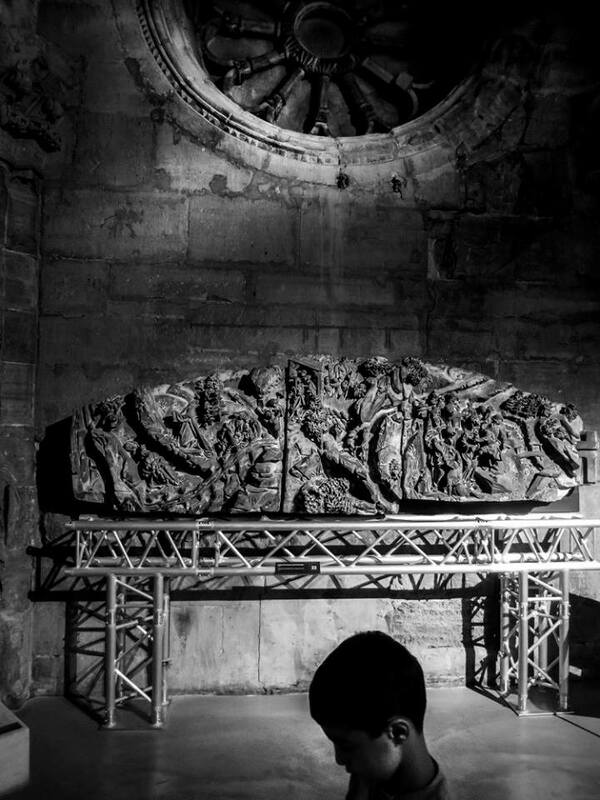 Off-season Comino is a meditation, a temple of silence worship. Every day spent here is refreshing for the body and the mind. The hidden caves, the sunset views from the tower, the flocks of birds flapping over your head effortlessly transform you into a silent observer of the beauty that surrounds. Small details, unnoticed during the summer, now rush to speak to you. A flower petal, a bee hive or a cliff of a particular shape stand out and call for admiration. While treating yourself with prolonged indolent moments you feel how the rustle of tree leaves and the bee’s buzz hypnotise and convince not to disturb their flow. 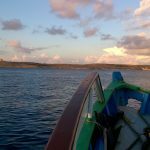 The appeal of Comino extends far beyond its pretty turquoise bay: it allows the sense of intimacy with nature to develop – the effect that is difficult to match. The true love for the natural world begins from the tender, meditative state of unity with it. Silence is an indispensable chord which sets us in tune with nature. Silence is magic. P.S. 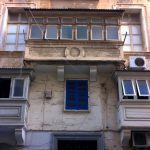 Could it be that Maltese present-day obsession for concrete development and lack of appreciation for silence are related? 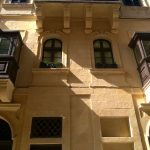 Like Malta Sketches Facebook page if you like to see more articles about many things Maltese from an outsider’s perspective. I am not against migration – I am in favour of a fair playing field!